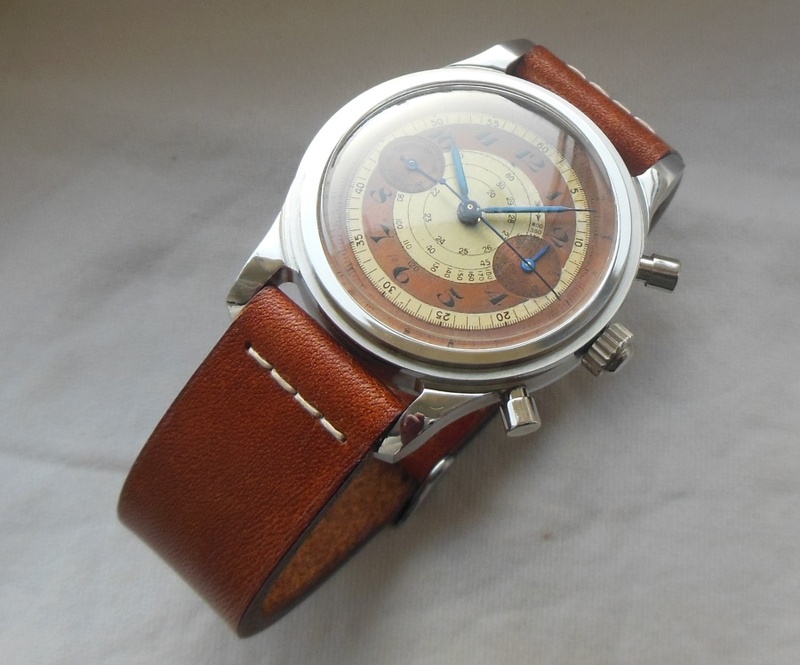 Offering this vintage anonymous chronograph housing a Valjoux 22 pillar wheel mechanism. 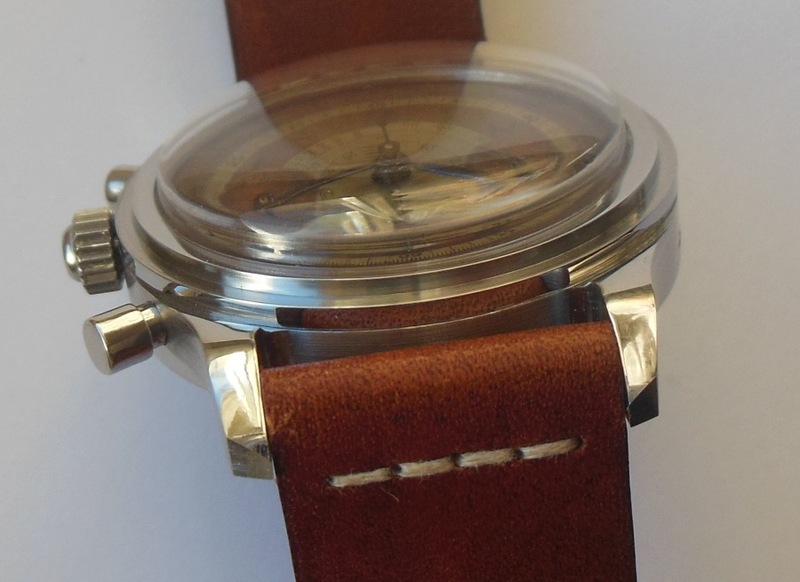 The ALL stainless steel New Old Stock (NOS) case measures 38mm (without the crown) x 50mm (lug to lug). 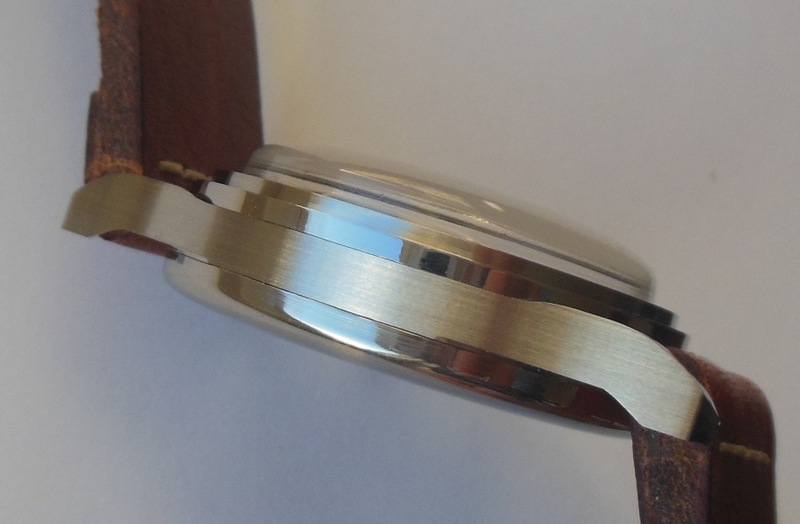 Case features a step bezel. 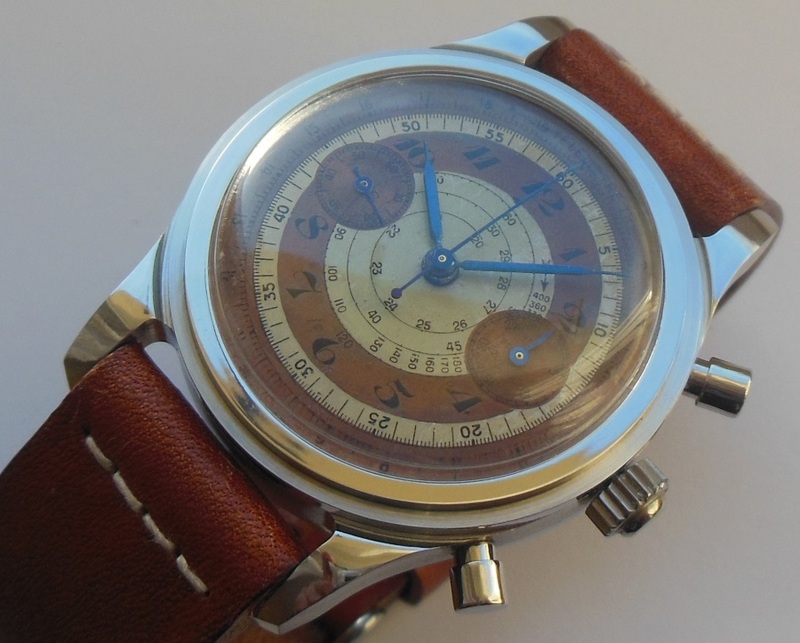 The original "bullseye" SINGER dial is in excellent condition. 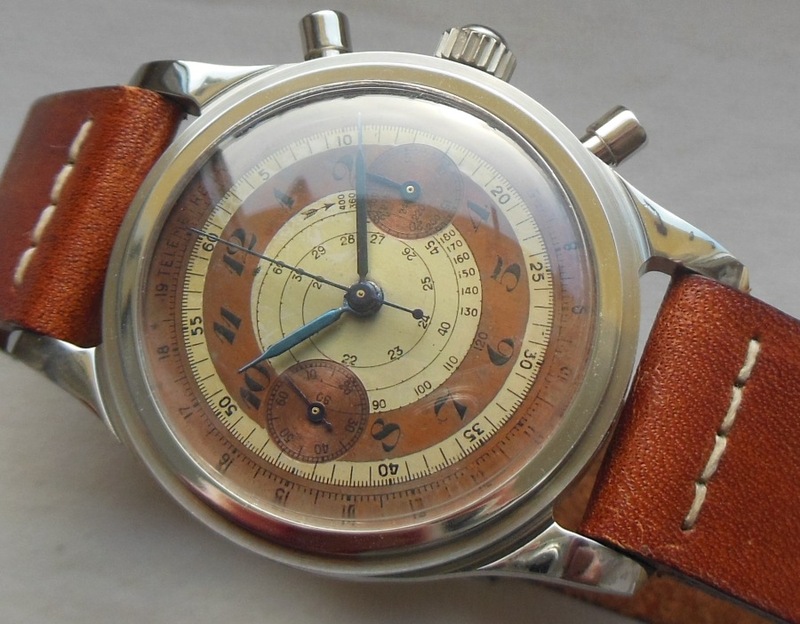 Features an outer telemeter track and an inner spiral tachymeter. 30 minute sub-register. The stainless steel hands were blued using the traditional heating method. 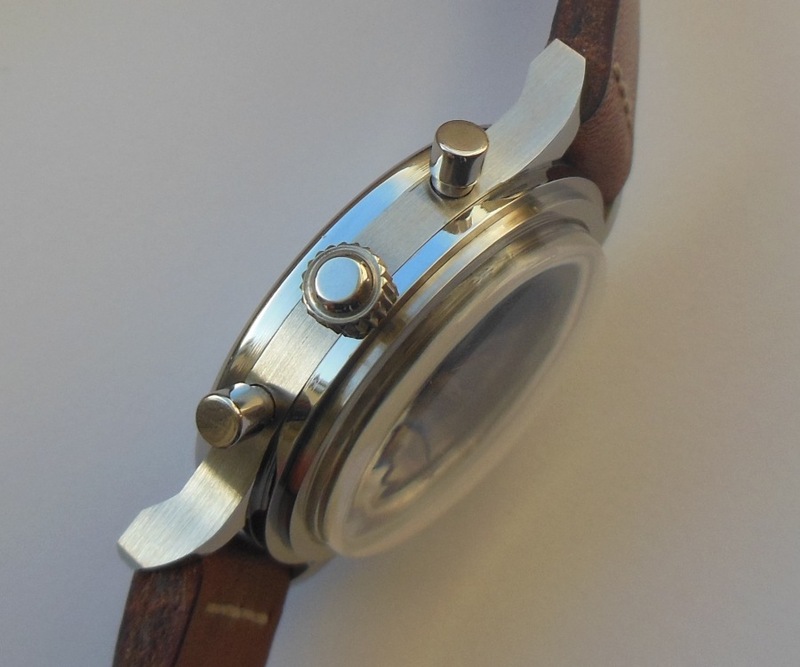 The bushings of the chronograph hand and chronograph runner hand were replaced to ensure both smooth performance and correct reset to zero function. 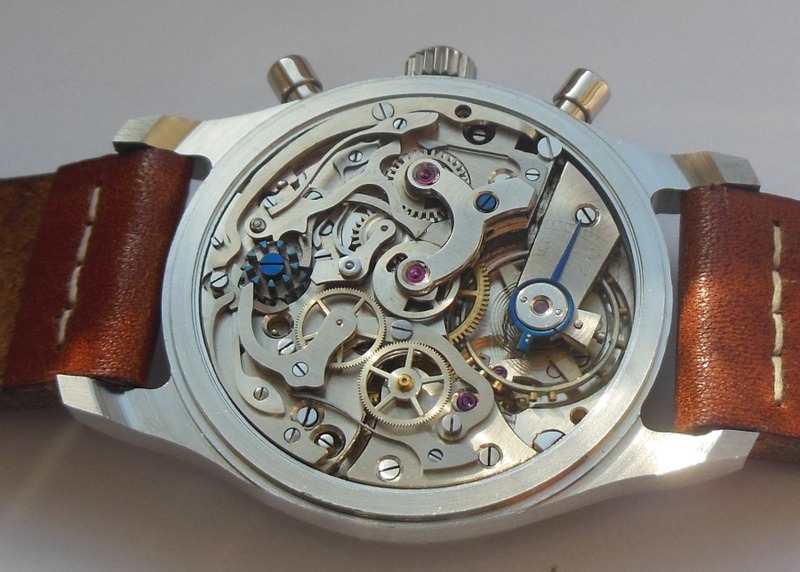 The bushing of the seconds hand was also replaced to improve performance. 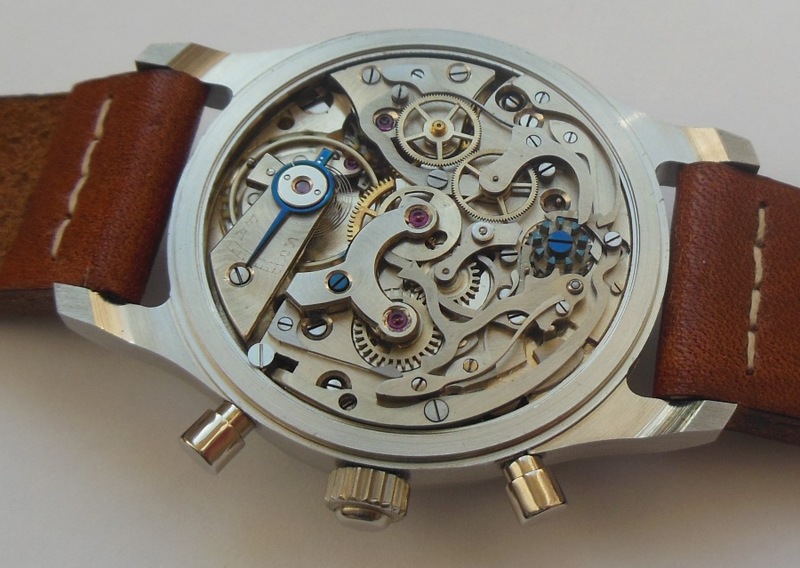 The mechanical movement has been fully serviced and it is in excellent running condition. The mechanism was completely disassembled, all parts cleaned and inspected for wear and tear. The mechanism was then reassembled, oiled, greased and calibrated. The decorated elements on the mechanism were blued using the traditional heating method. 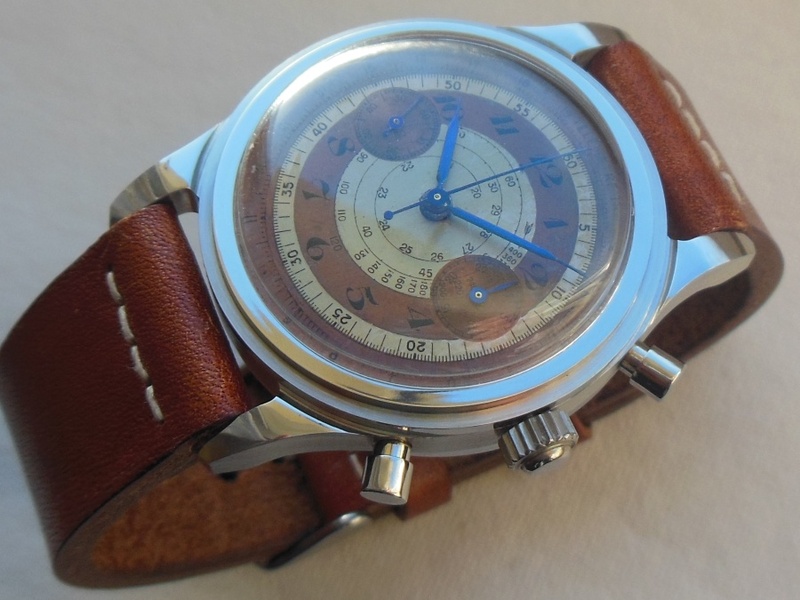 ALL chrono functions are working correctly and watch keeps excellent time. 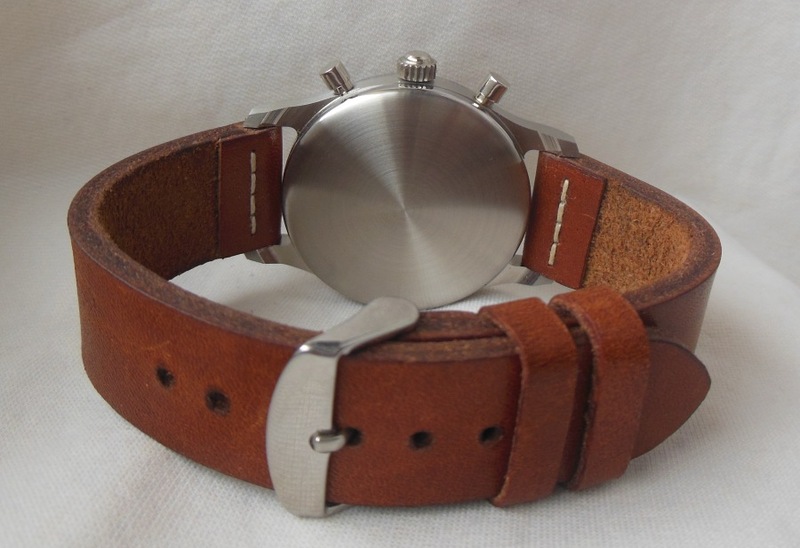 Comes with the 20mm strap shown in the photos. A truly unique vintage piece. Located in the EU. 2800Euros (or equivalent in USD).